Victor Lazaro is a French Steadicam Owner/Operator and Camera Operator living in New York. He has experience with multiple camera systems, including Arri Alexa, RED Epic, Canon, Sony, and broadcast cameras. 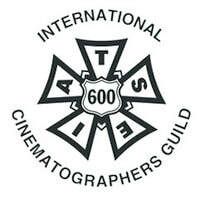 Victor is a certified a Steadicam Operator and member of the Steadicam Operators Association (SOA). He completed the SOA Steadicam workshop where he trained with Garret Brown (inventor of the Steadicam) and Larry McConkey. Victor has worked on features, short films, music videos, commercials and television (live and episodic). Visit the Filmography page for a full list of past projects. Born and raised by two artists in Paris, France, Victor grew up with a hunger to learn how to capture the moving image, and made his first stop motion film at age 8. After graduating from the Ecole Supérieure de Réalisation Audiovisuelle (ESRA, Paris and New York), he went on to work as Camera Assistant on L’Emmerdeur (dir. Francis Veber), then as EPK on, The Tempest (dir. Julie Taymor) and “The Mechanic” (dir. Simon West). He later directed a music video for the French band Kipling called Lives & Walls, which was broadcast on MTV France. Victor has been working in New York since 2010.